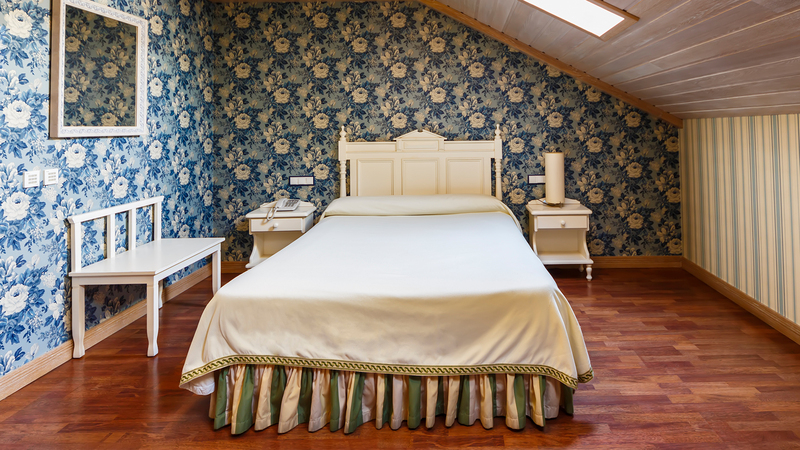 This relaxing and cosy family-run hotel, boasts a warm and intimate atmosphere. 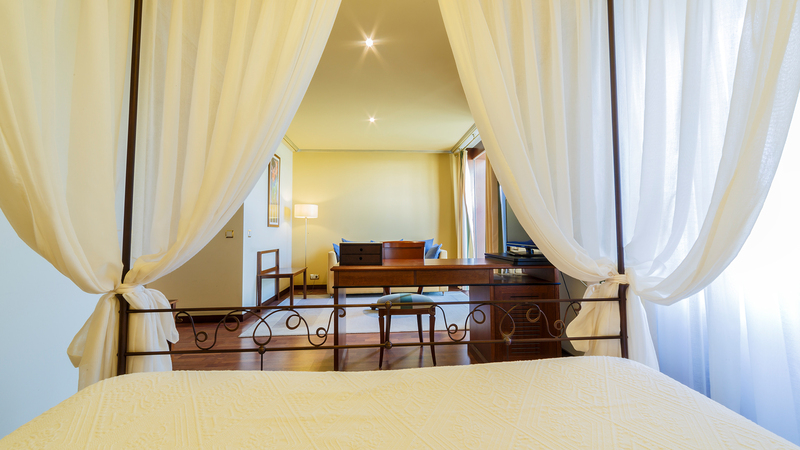 A home away from home, where every detail is cared for with passion, where each corner deserves to be discovered. 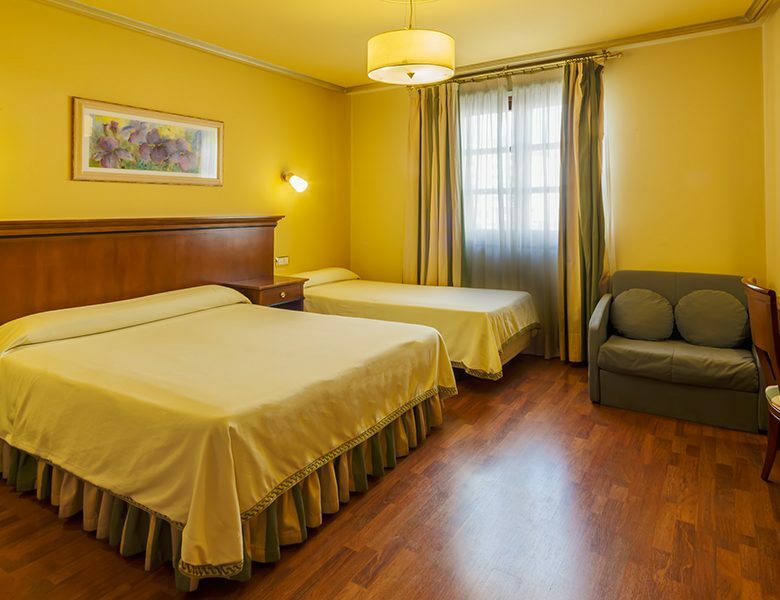 The Hotel Azofra has 29 fully-equipped rooms decorated with an elegant and comfortable style. 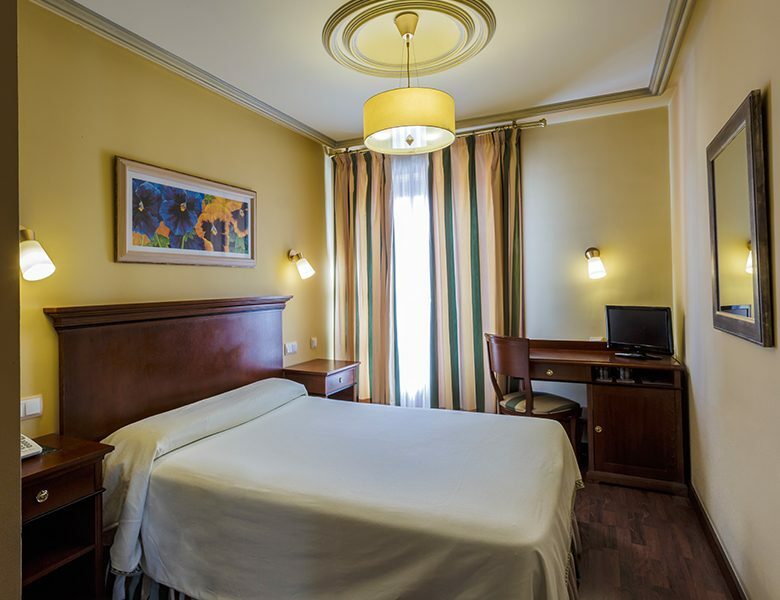 Located in the heart of the university quarter of Burgos, the area enjoys a peaceful and calm atmosphere, where you can park for free next to the hotel. If you prefer, we can also provide private parking space at a low cost. 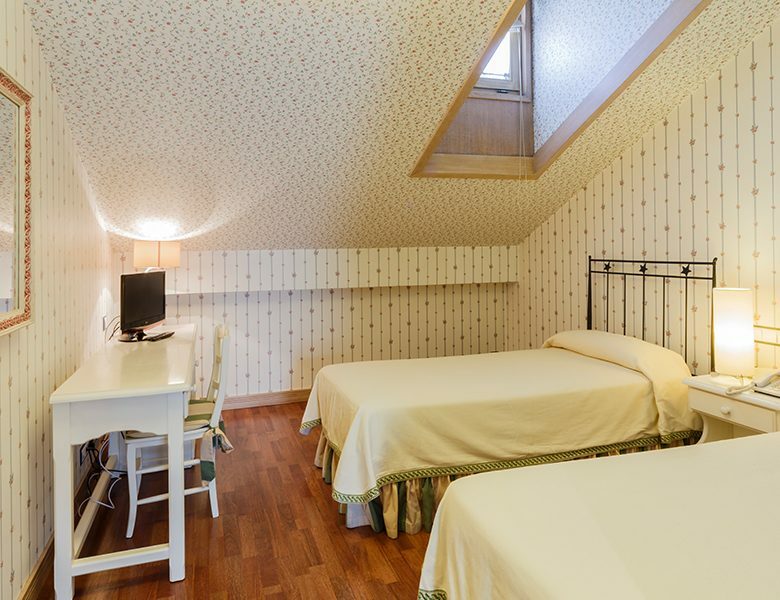 A 15-minute-walk will take you to the Monastery of Las Huelgas and the centre of Burgos is a 5-minute drive away. 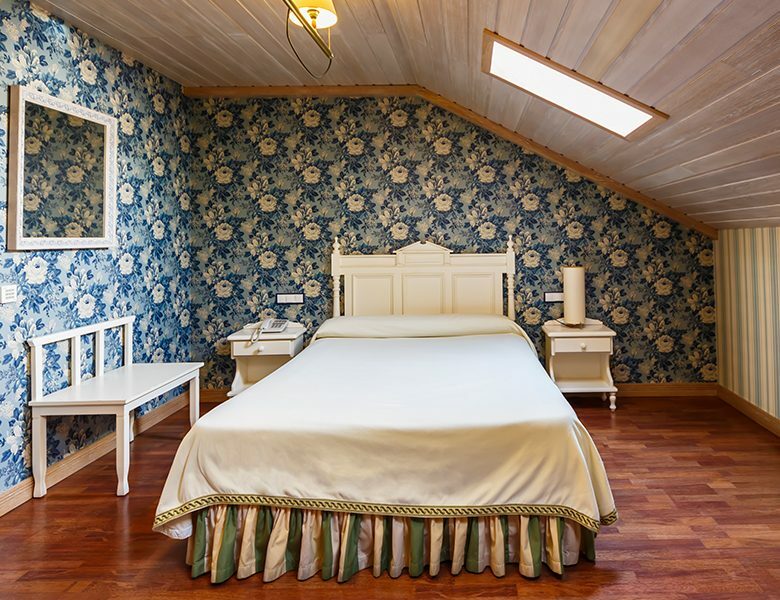 Our rooms on the first floor are spacious, bright and with hardwood floors, on the second and third floors, the rooms have sloped ceilings and art lovers can enjoy the paintings of landscapes of Burgos decorating the room doors. Hotel Azofra provides several meeting and conference rooms, a cafeteria and it prestigious restaurant, Asador Casa Azofra, currently ranking 4th among the best rotisserie restaurants in Spain, where you can enjoy traditional dishes such as the roast lamb of Burgos. 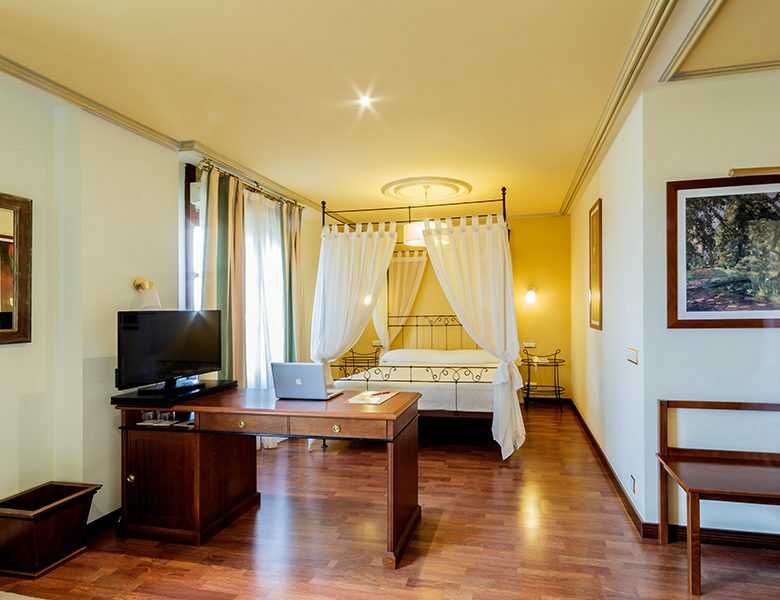 Each room has been individually decorated with a careful blend of traditional and modern touches.